Have you ever wondered if you could get more from time entry in Dynamics? If you use a Dynamics ERP platform – such as GP, NAV, AX, or 365 – to manage your project accounting, payroll, and/or billing, then you may also use the time entry capabilities your platform has. However, you may not realize what’s missing – which could be what you need to do your job (and enable employees to do their jobs) more efficiently, accurately, and profitably. With Journyx time tracking integrated with Microsoft Dynamics, you’ll empower your organization with powerful time and expense tracking, make your job easier with the tools you need to manage, process and report on employee time and expenses, and drive growth at every level. The Align team faced the classic “build or buy” decision when it came to a time and expense tracking solution that did everything they needed, including integrate properly with Dynamics NAV. Ultimately, Journyx’s integration with Dynamics NAV and easier-to-use interface, combined with its strong and experienced support team, led to the decision to purchase Journyx. Integrate with your Dynamics ERP system, as well as Microsoft® Project, Excel, Exchange, and other existing business systems (payroll, HR, etc). Customize your system, whether in the cloud or locally installed, based on your unique organizational needs and processes. Create approval workflows based on business process and drivers, including multi-level approvals. Plan and allocate resources, reduce corrections through data validation, and automate accrual balance updates. Generate sophisticated web-based reports based on time, project, costing, and process compliance data. Track time across devices with mobile entry. 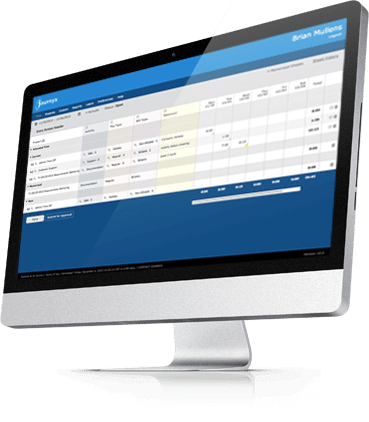 Stop chasing employee timesheets, making corrections, and manually entering data into Dynamics GP. Journyx helps you collect employee time data for project accounting, billing, and payroll – quickly, easily, and accurately. Get the data you need to get your job done – your way. Journyx has flexible time and expense tracking for Dynamics AX to help you collect employee time data for project accounting, billing, and payroll – quickly, easily, and accurately. With Journyx, time and expense tracking for Dynamics NAV has never been easier. Now you can capture detailed time and expenses across jobs and tasks in one place – and report on all of it in more ways than ever. Journyx knows project time tracking and what it takes to keep your projects on time and budget. Now you can power up Dynamics SL and your project accounting with smart time and expense tracking that’s as powerful as it is easy to use. With Dynamics 365 ERP operations paired with powerful cloud-based time and expense tracking from Journyx, the sky’s the limit! Whether you use Dynamics 365 Business Central or Finance & Operations, Journyx makes time tracking for payroll, billing, and projects a breeze. Download the infosheet to learn more about how Journyx time and expense tracking works with your Microsoft Dynamics platform. 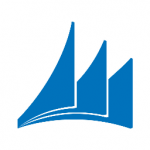 Find how a smart time tracking solution can work together with Microsoft Dynamics® to make collecting time data easier, more efficient, and compliant. Provide more value to your Dynamics customers and create an additional revenue stream by partnering with Journyx.